Solomon co-founded RootsAction.org, which is coordinating an informational picket line outside of the DNC meeting in Chicago, August 23-25. He was a coauthor of “Autopsy: The Democratic Party in Crisis.” He will be in Chicago from Wednesday morning through Saturday. Solomon writes in his HuffPost piece that despite support for superdelegate reform from grassroots Democrats and DNC Chair Tom Perez, “significant pushback is underway from sectors of the party establishment. 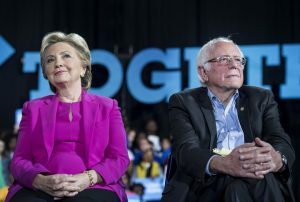 Some Democrats in Congress and a number of officials in state parties are now vocally making clear that they do not want to lose their superdelegate voting privileges. Solomon is executive director of the Institute for Public Accuracy.